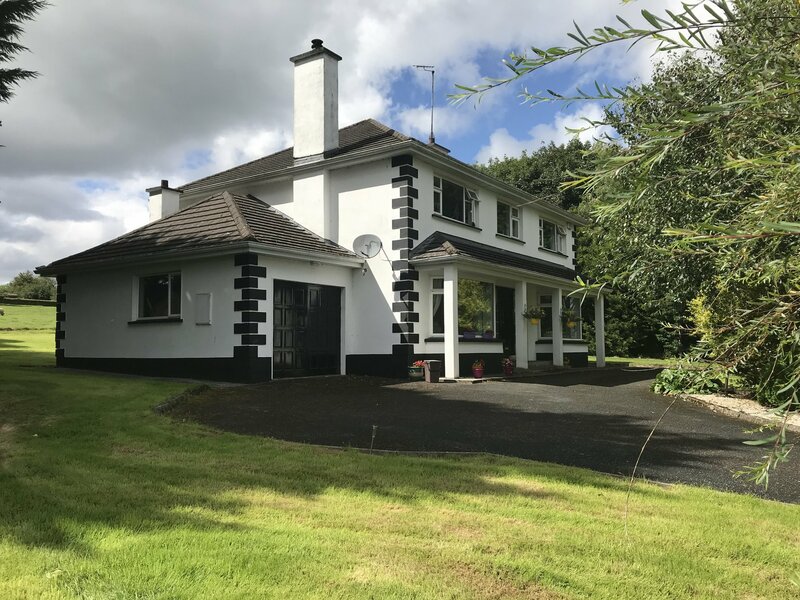 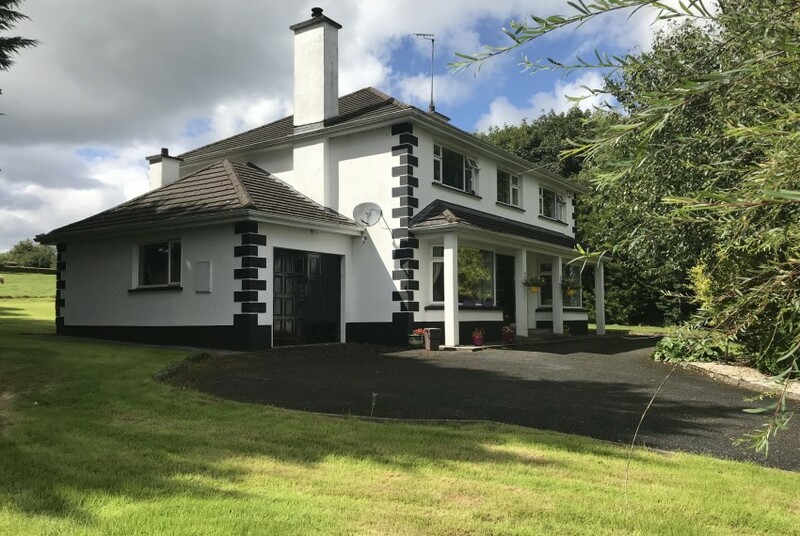 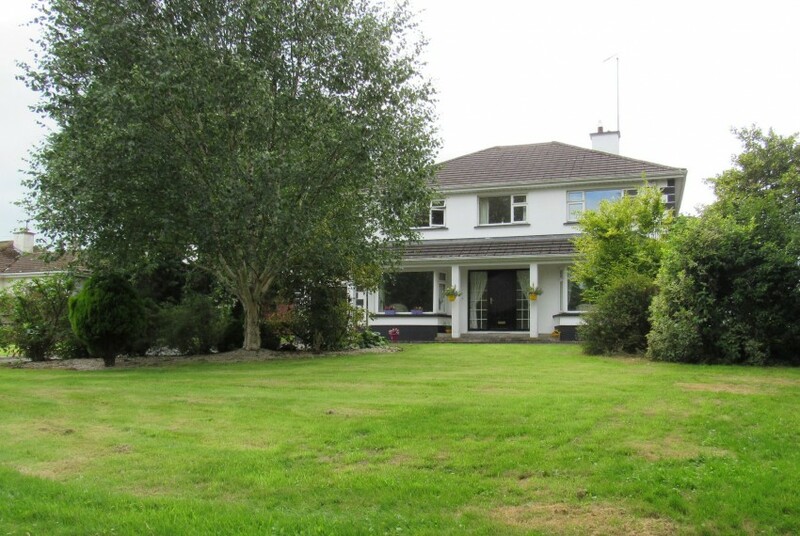 Location Location – Prominently located in a much sought after area is this large 4 bedroom house of approx. 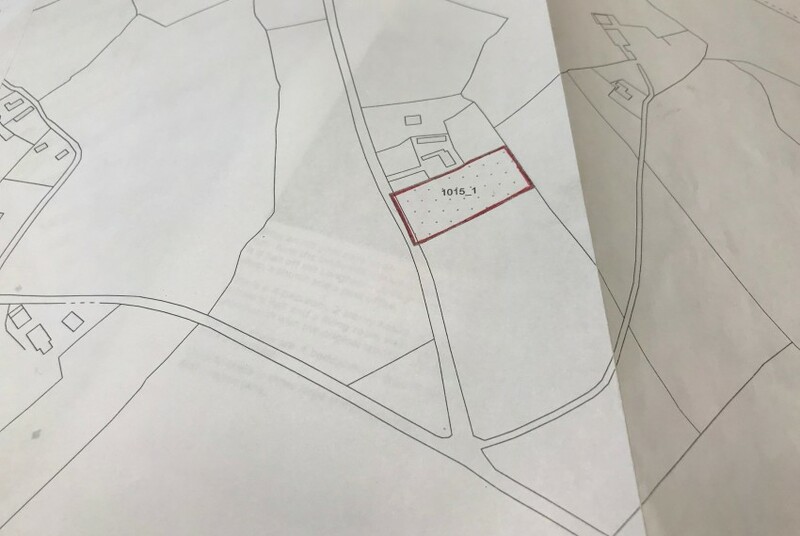 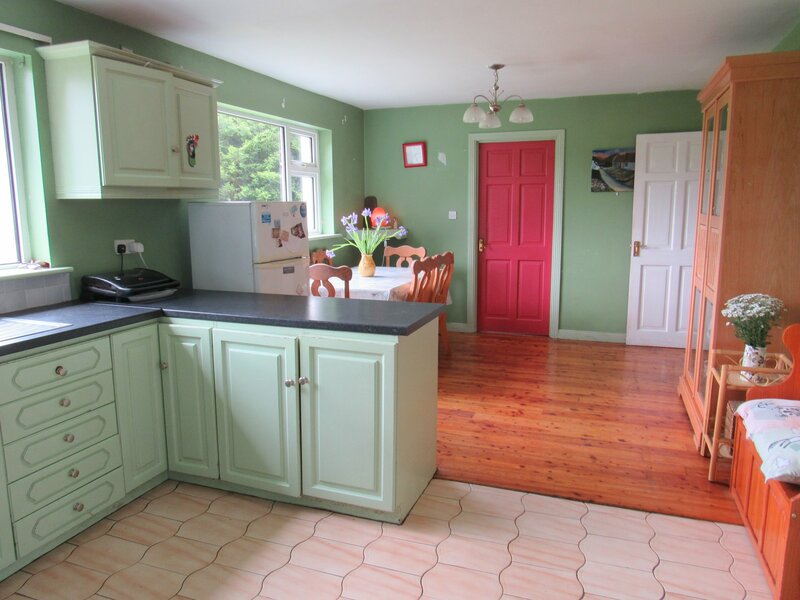 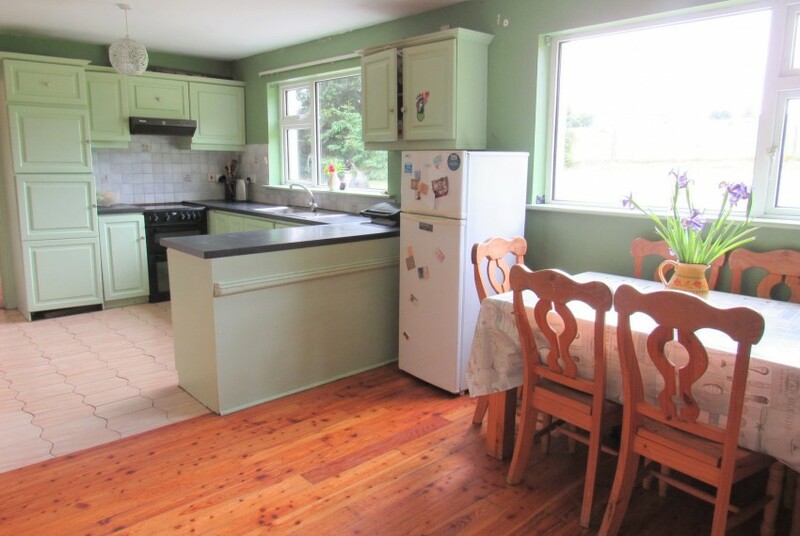 2200 sq ft at Upper Ferefad, Longford which is just minutes drive to the centre of Longford town. 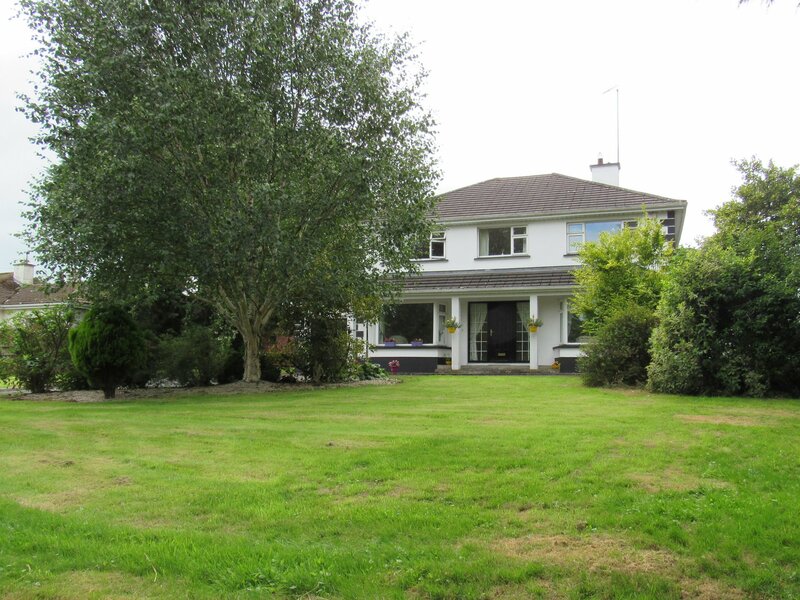 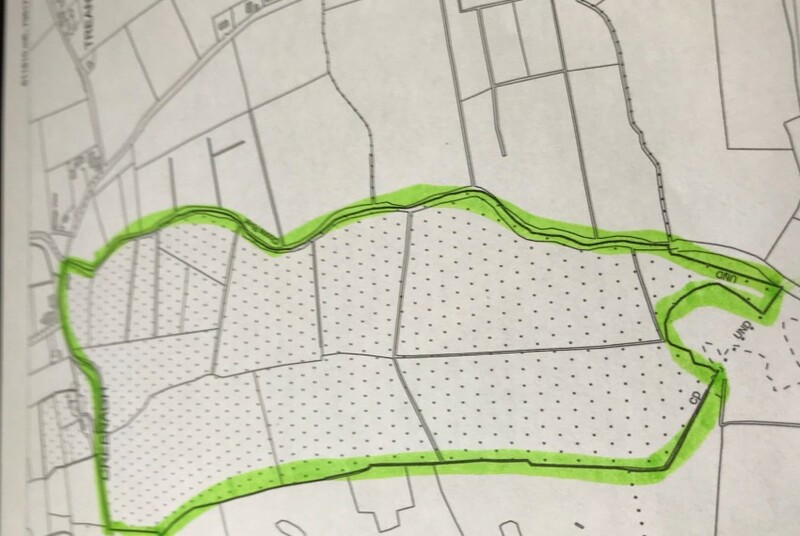 Strategically located near the N4 Dublin/Sligo route and the N63 Longford/Roscommon route. 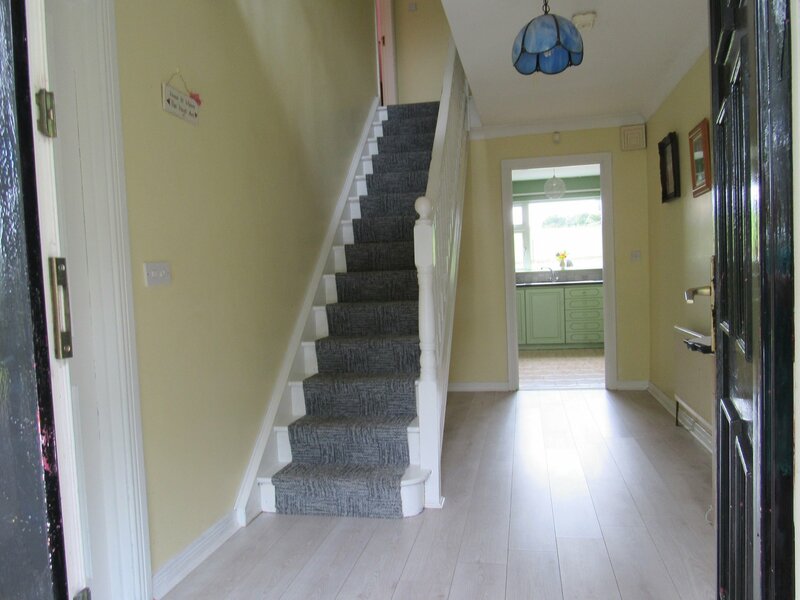 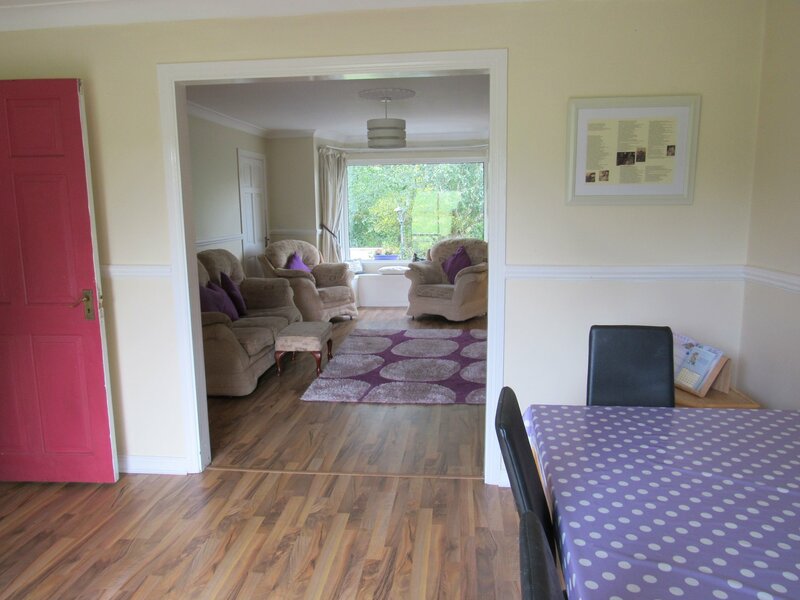 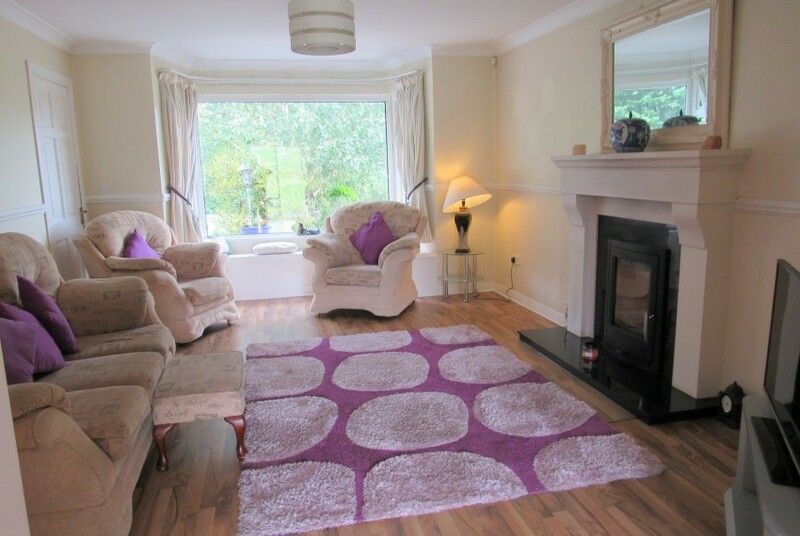 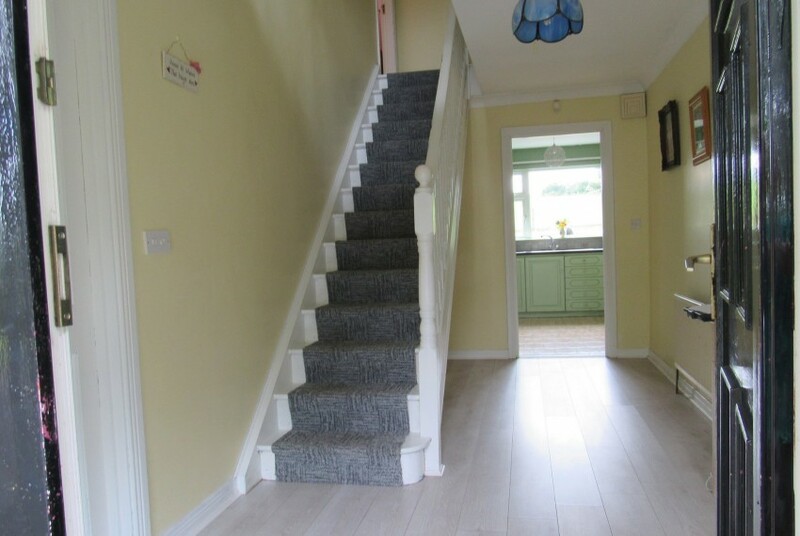 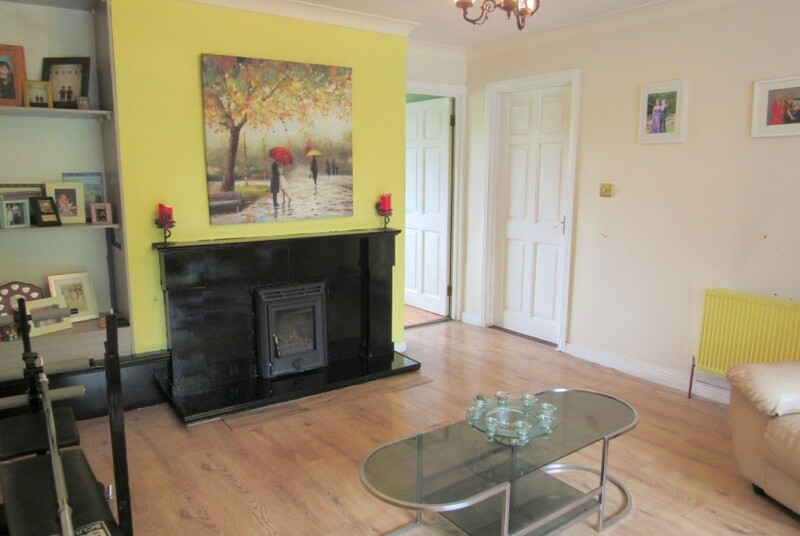 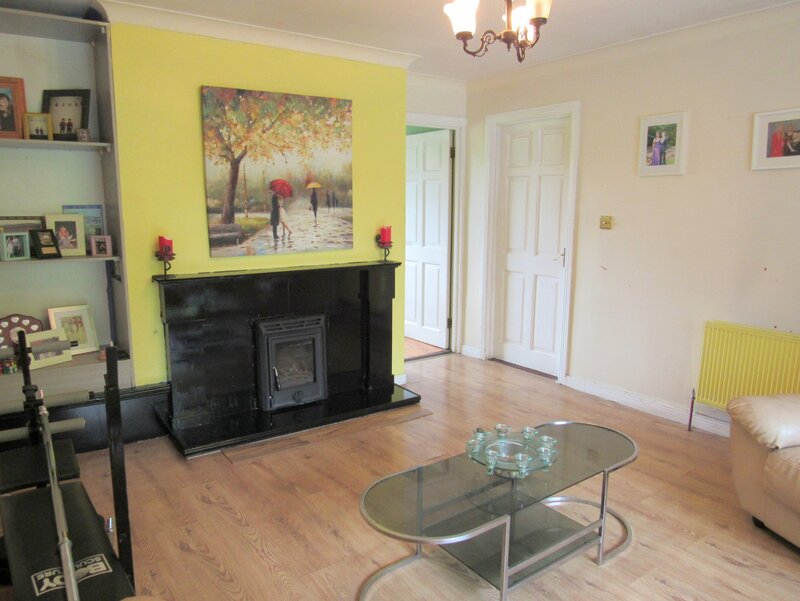 The entrance hall is bright with a semi solid wood floor and has a door leading to the living room which has a solid fuel insert stove, semi solid wood floor, coving and moulding. 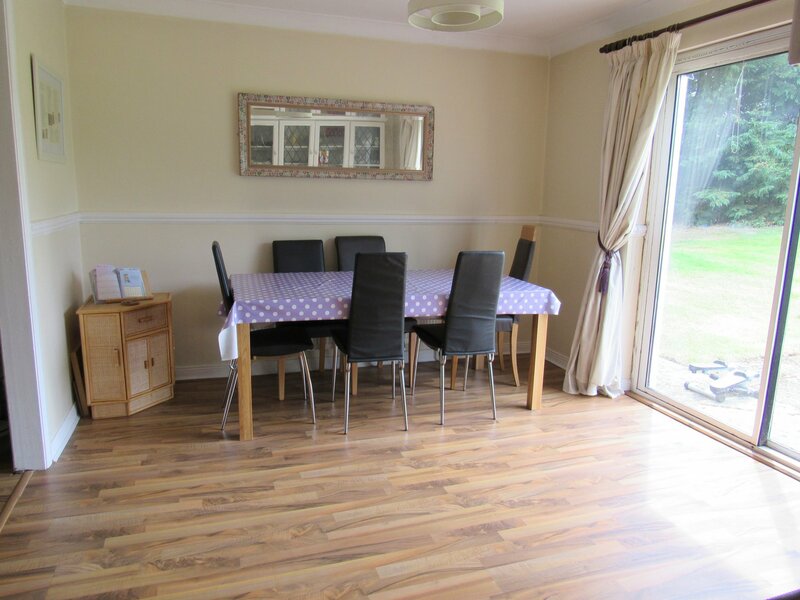 The living room opens into the dining room which has a semi solid wood floor and a sliding patio door to a paved patio area. 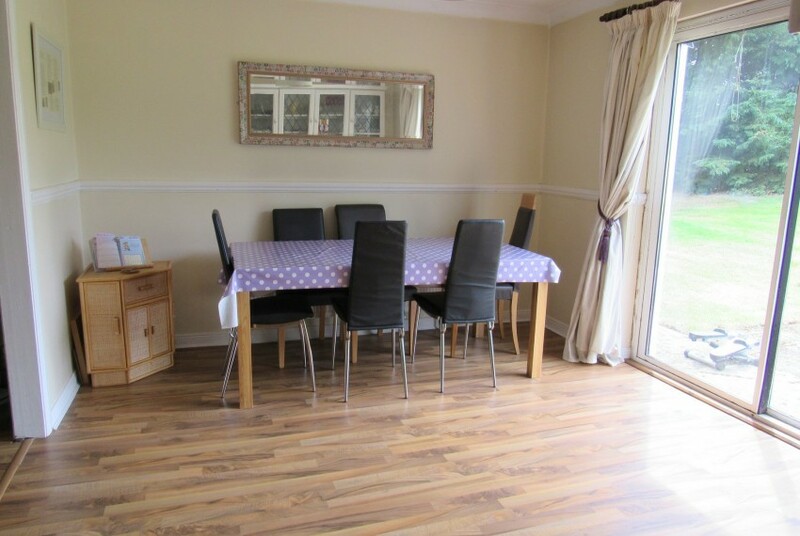 Off this dining area is the kitchen/dinette. 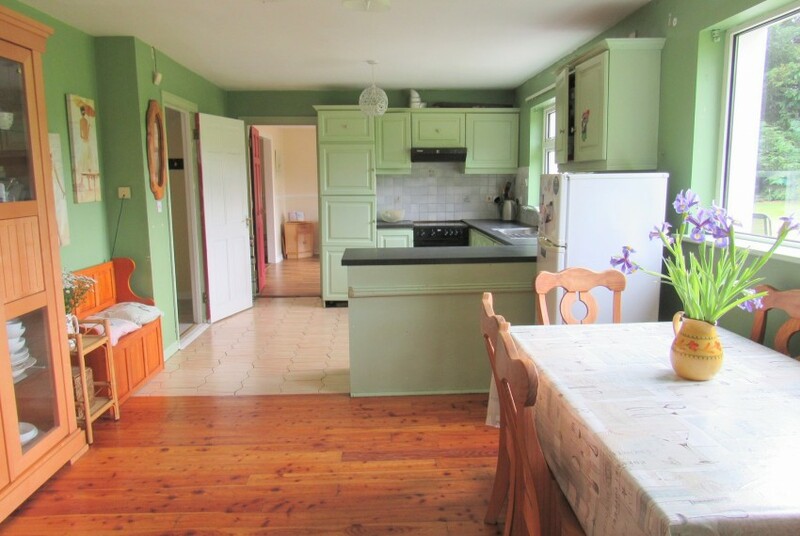 The kitchen area is tiled and the dinette area has a solid wood floor. 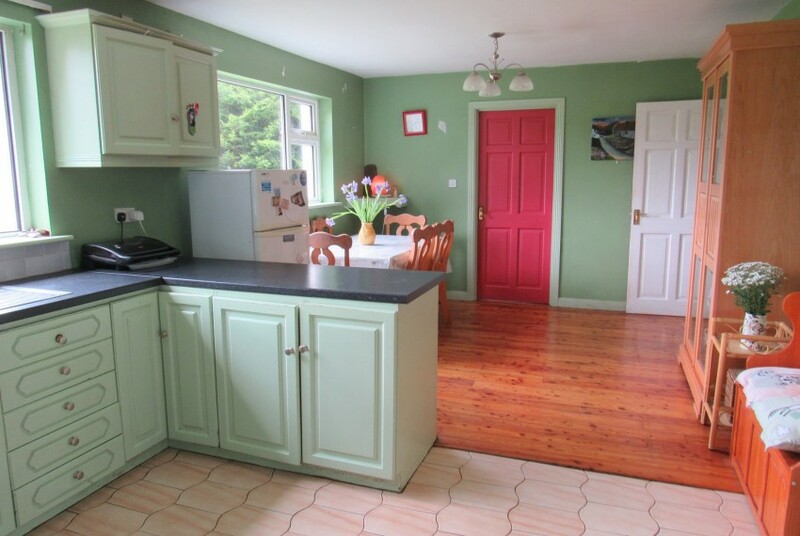 Off the kitchen is a laundry room with a tiled W/C and a door leading outside. 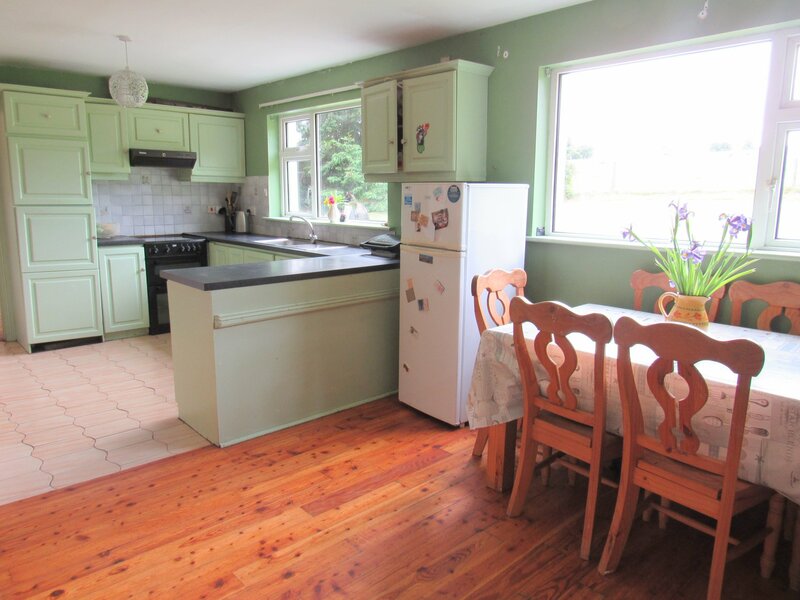 There is also a family room off the kitchen area with a solid fuel insert stove, solid wood floor and built-ins. 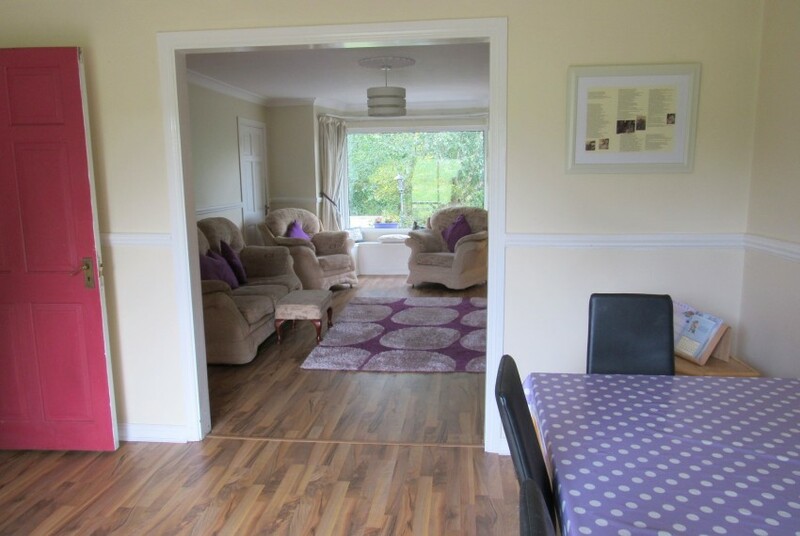 Off this family room is the play room which has built-in shelves. 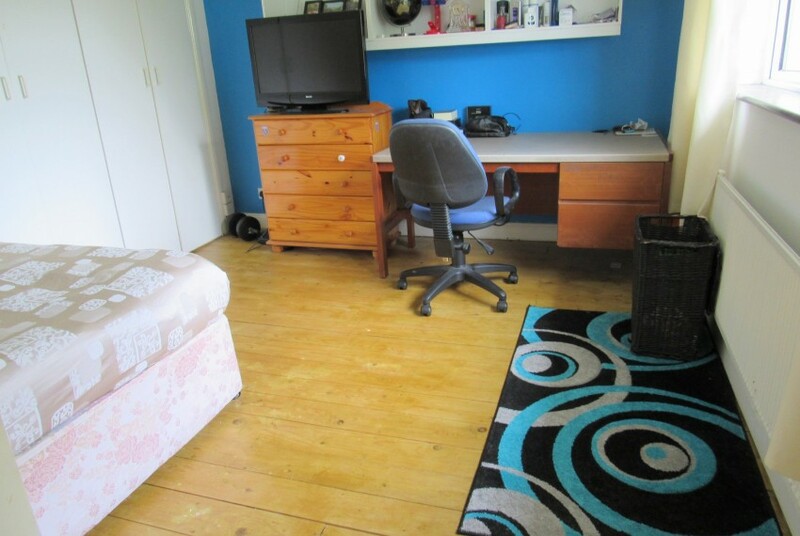 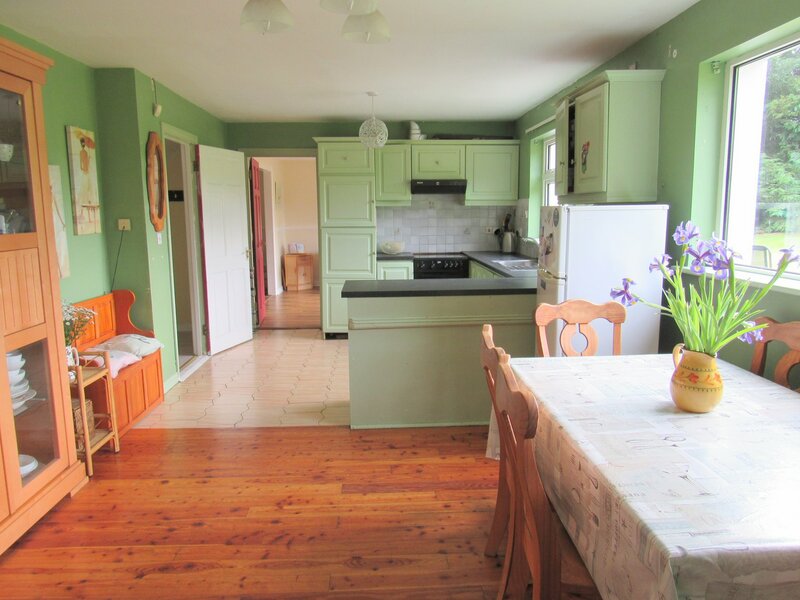 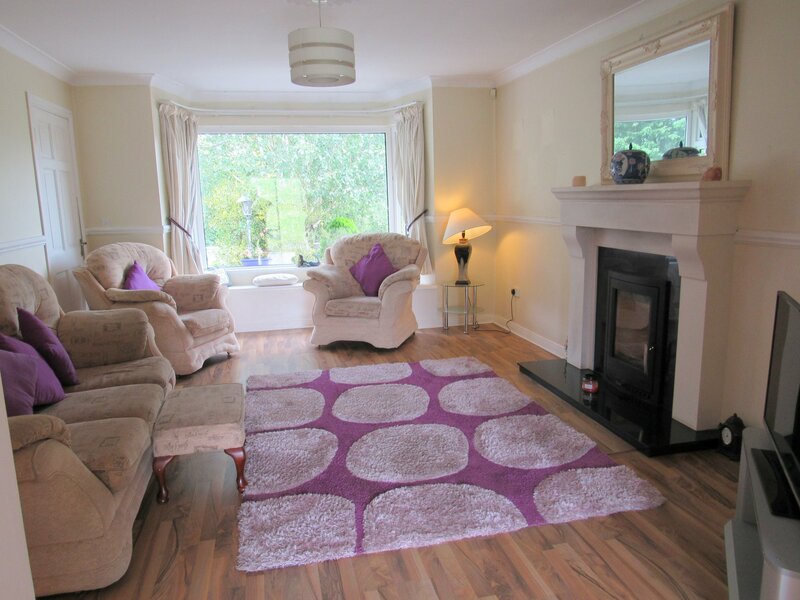 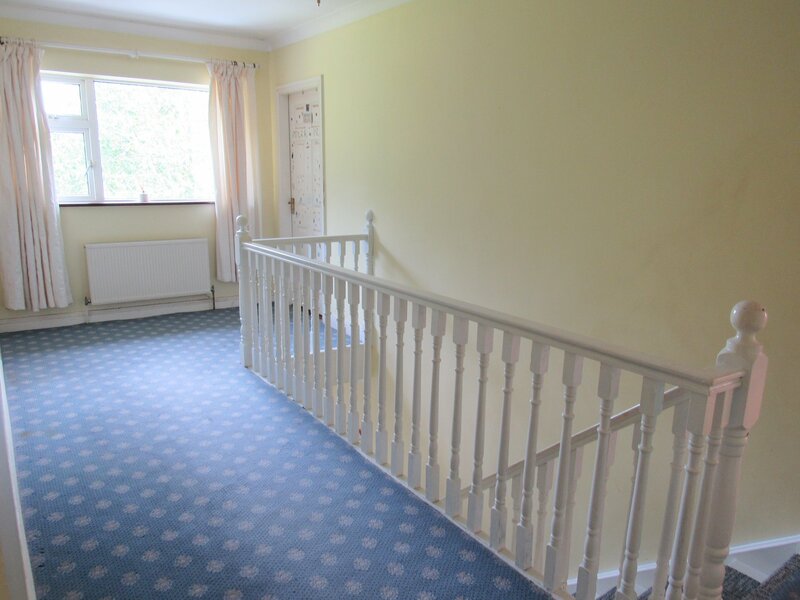 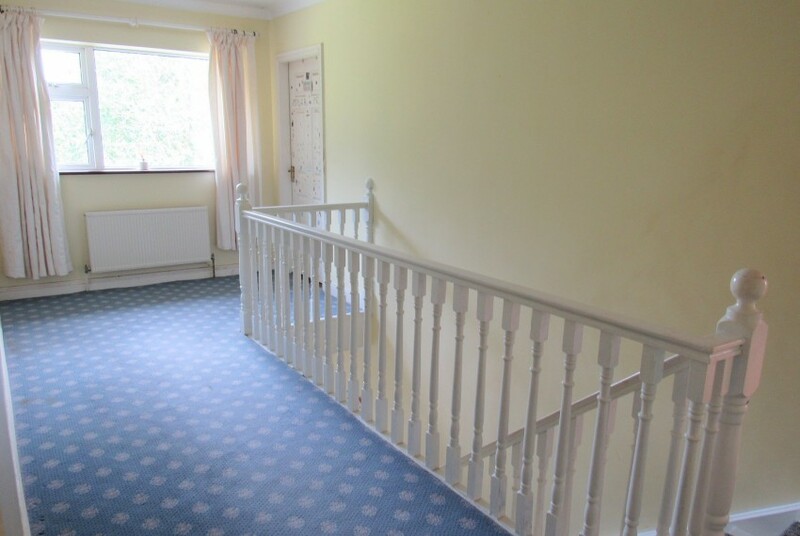 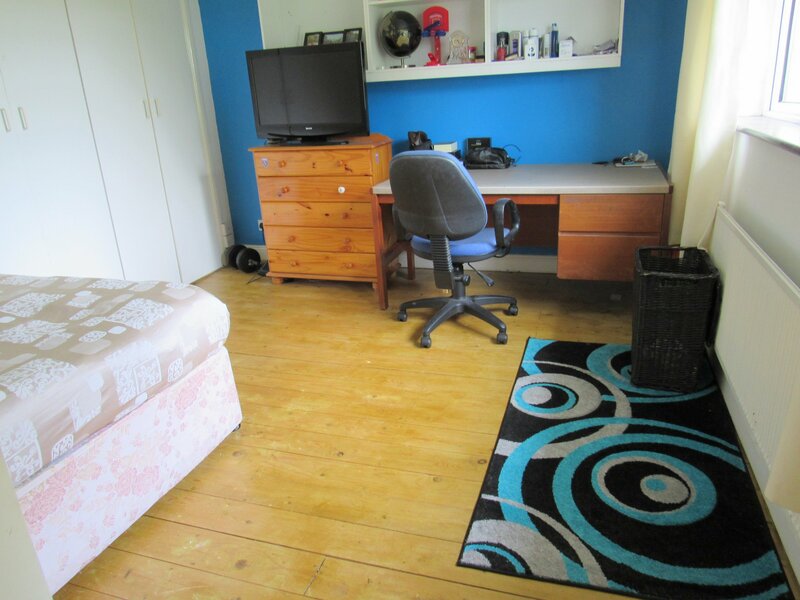 Upstairs there is bright spacious landing with 4 double bedrooms which have built-ins and wooden floors. 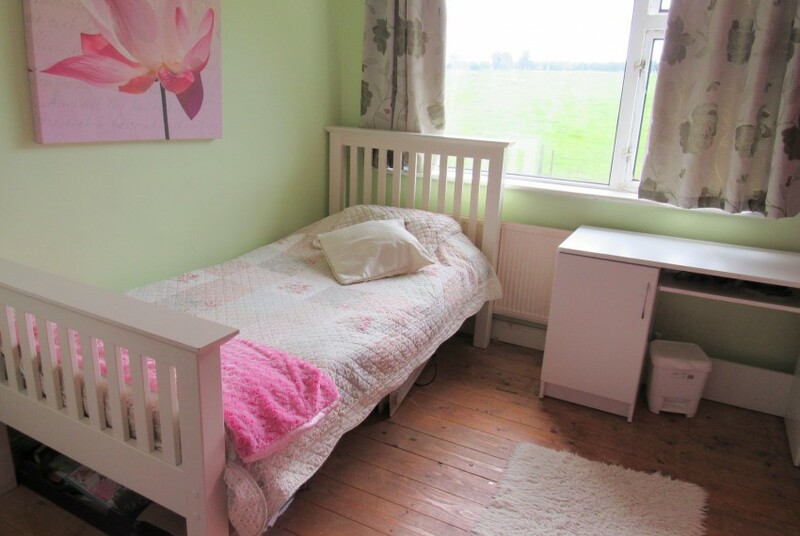 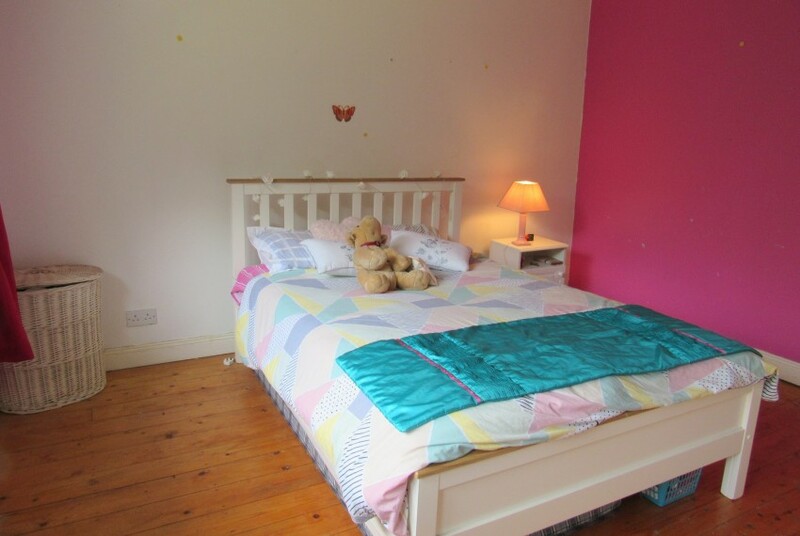 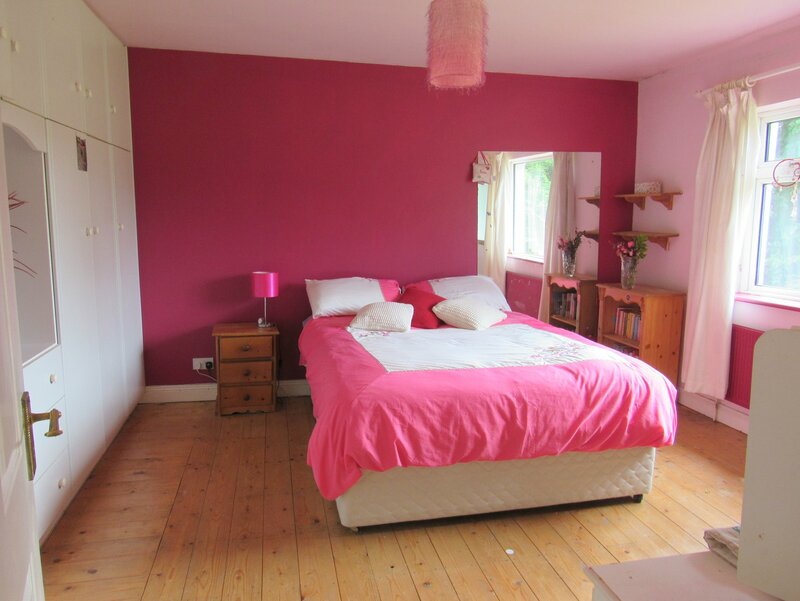 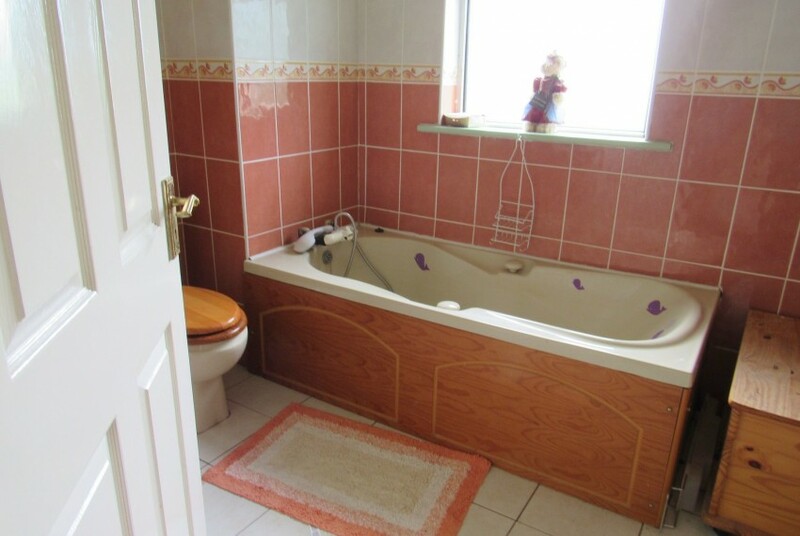 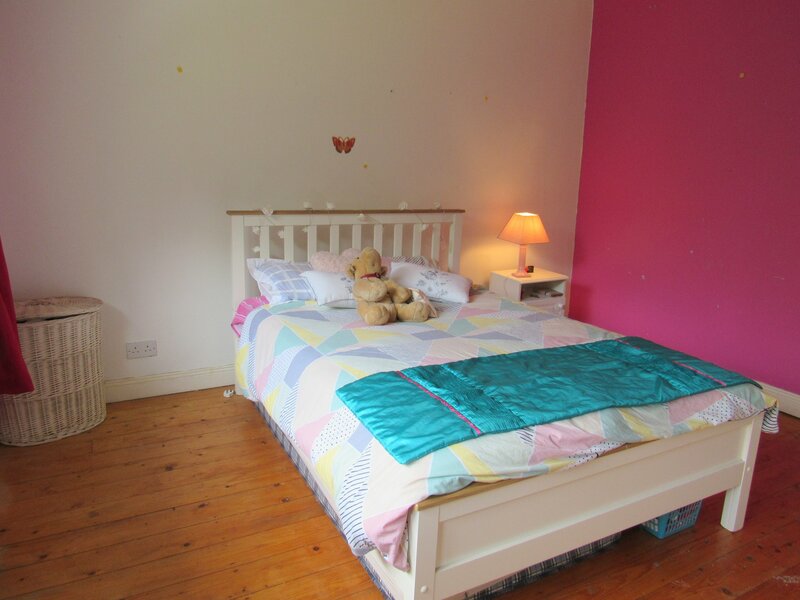 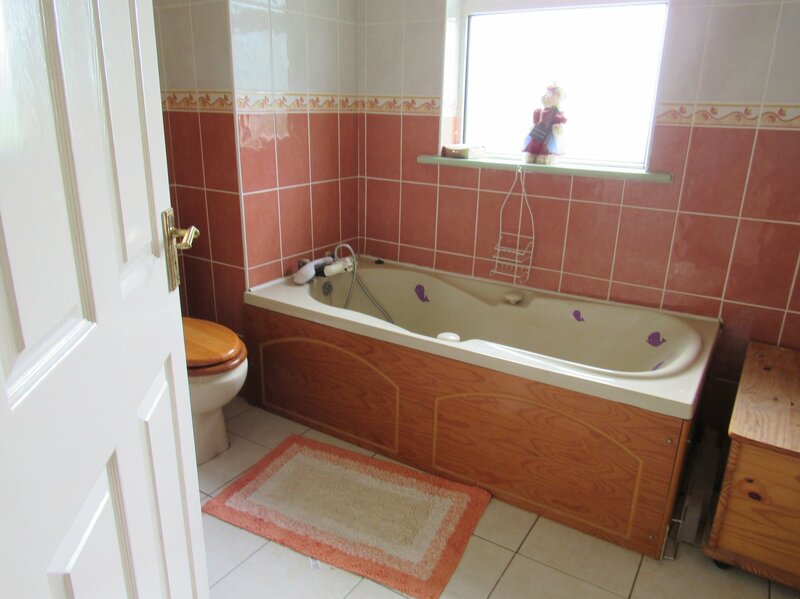 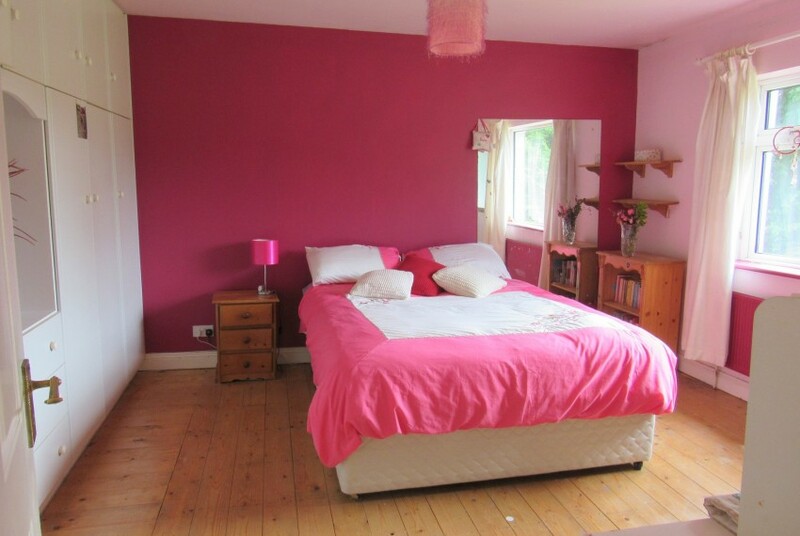 Bedroom 1 is an en-suite room which has an electric shower and is partially tiled, the main bathroom is fully tiled. 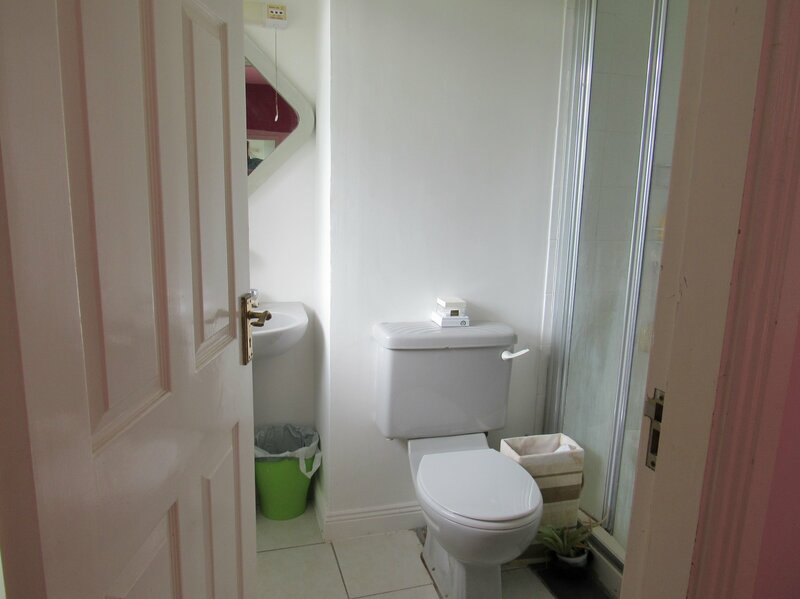 Features include: OFCH, PVC Windows and doors and alarm. 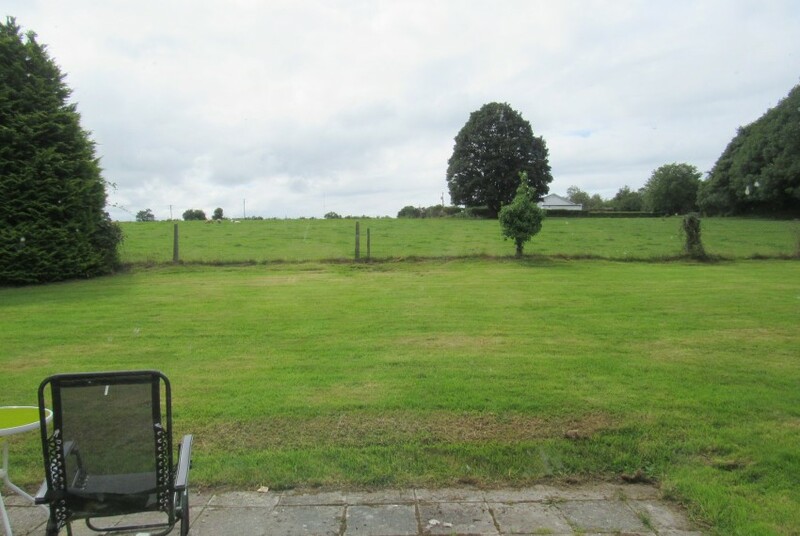 Outside there is a garage of approx. 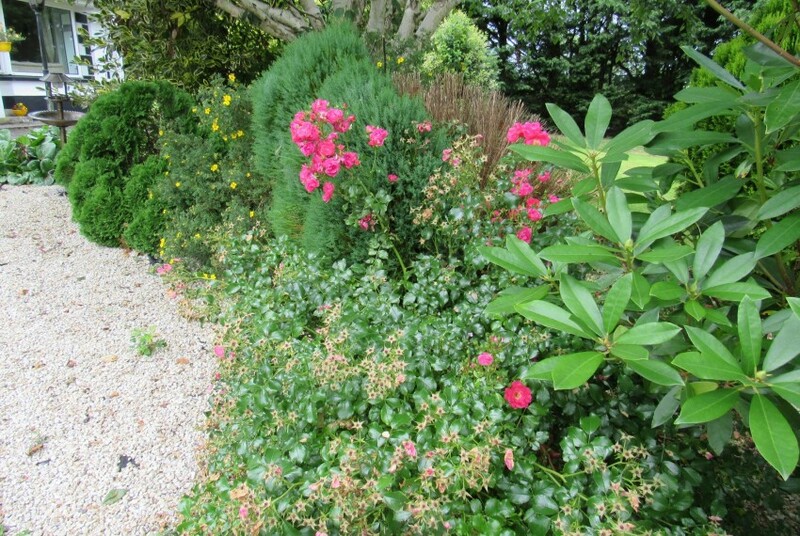 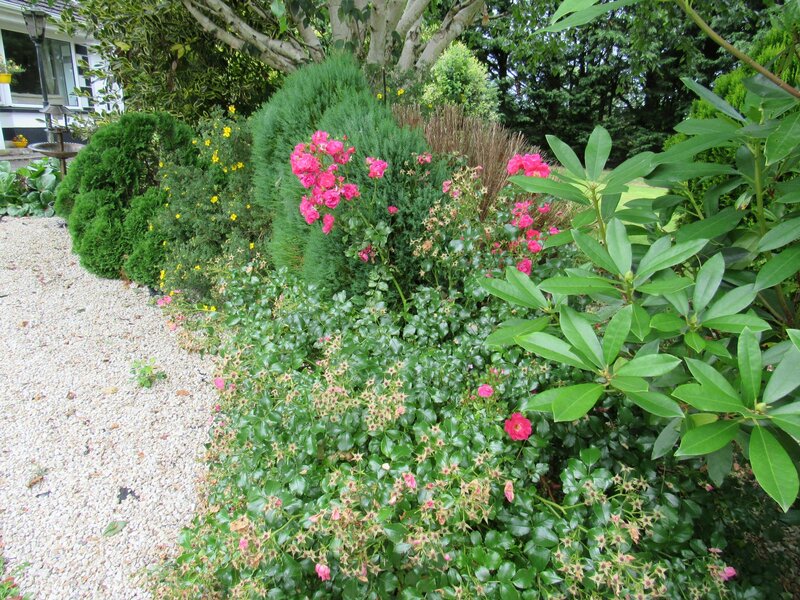 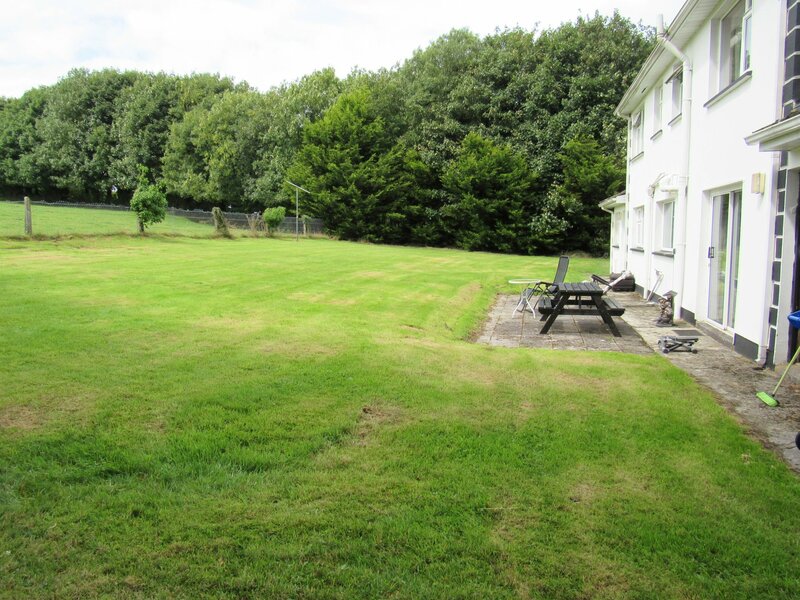 290 sq ft., landscaped garden, tarmac driveway and parking. 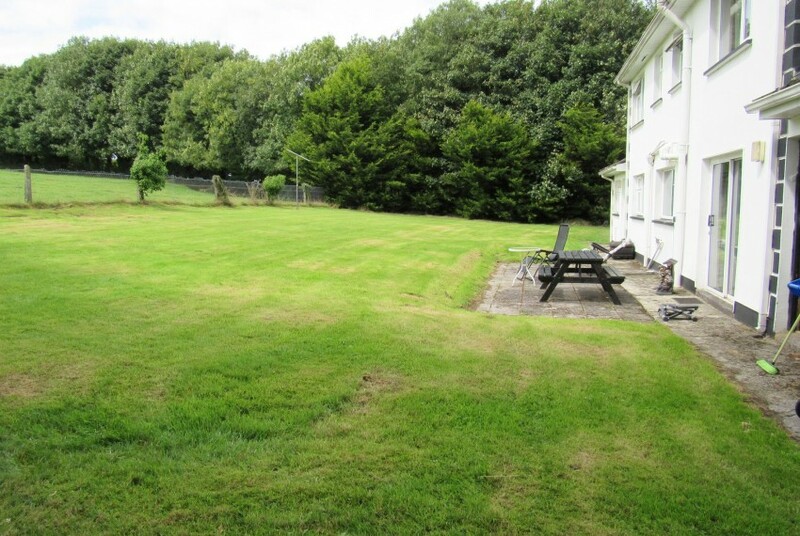 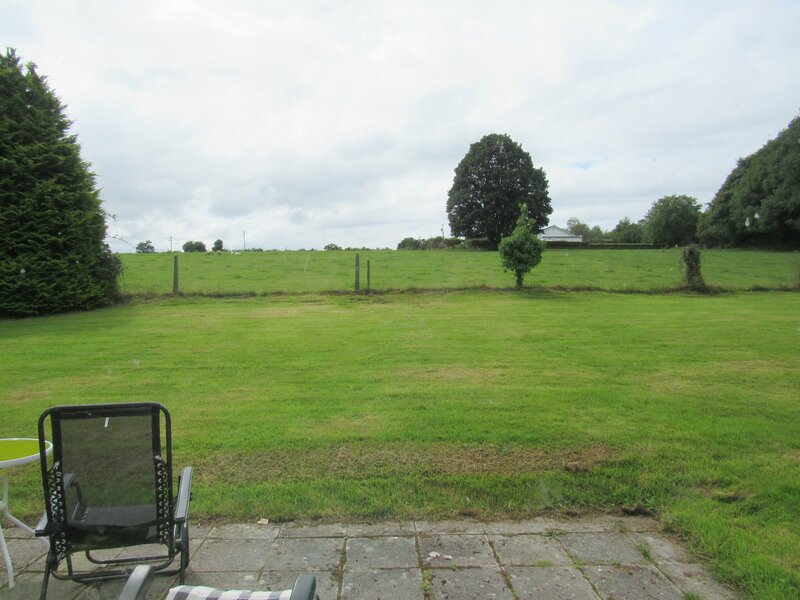 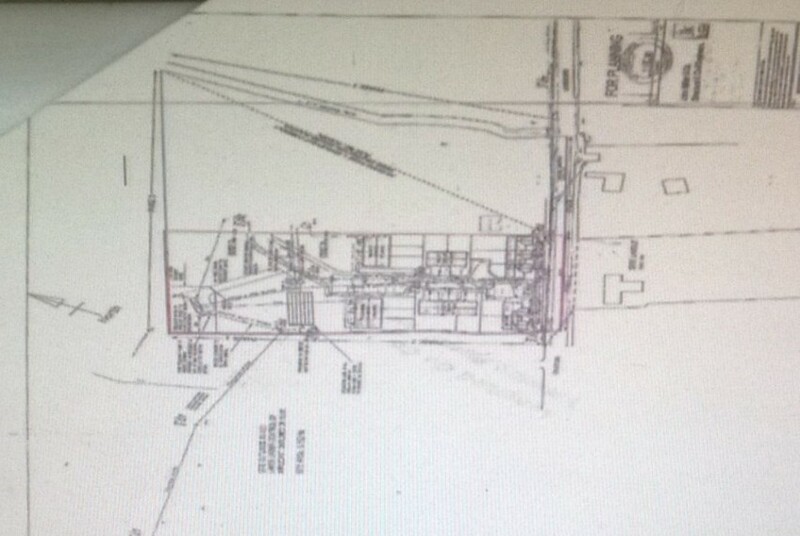 There is also a large private garden to the rear which has a paved patio area and a fuel shed. 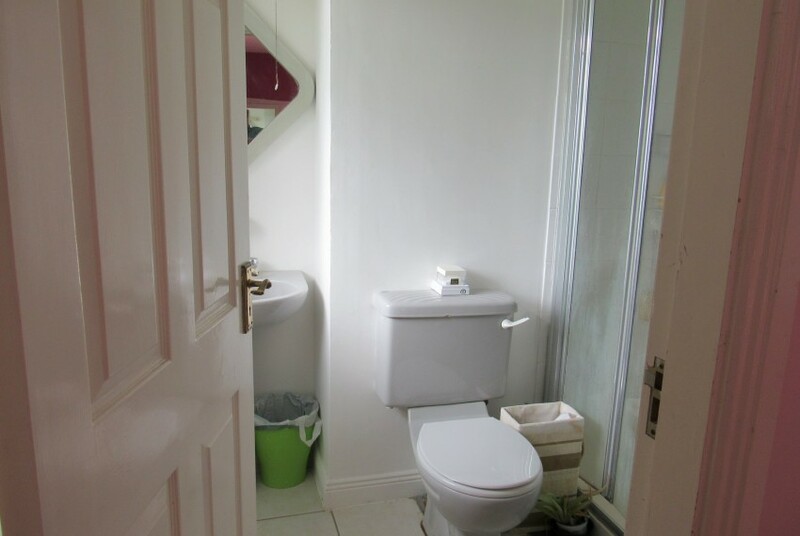 This house is serviced by mains water and septic tank.